Our Champion Golf Zipper Pack features zippered pouch in variety of attractive colors and makes impressive Company Logo Products. 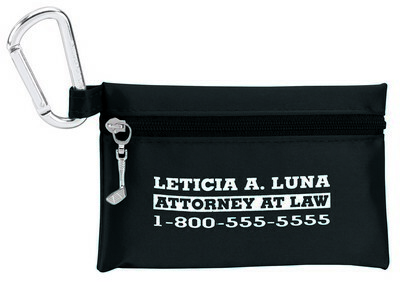 Show your customers that they are real champions with the Champion Golf Zipper Pack as your next promotional gift! This value pack includes 8 tees, ball markers and a divot repair tool. 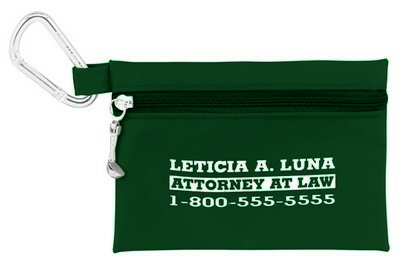 The pouch is versatile and allows storing anything you would want to carry along for your event or game. 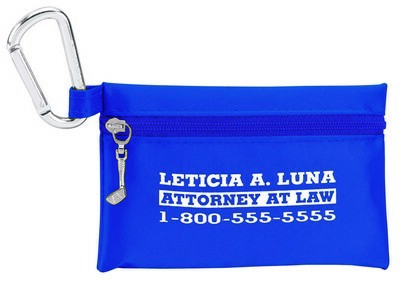 It comes with a metal carabiner that can be easily attached to any golf bag. 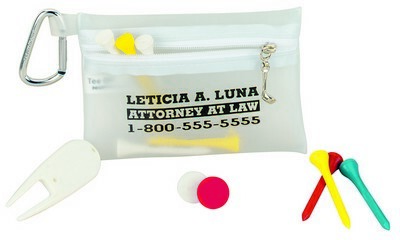 The pouch is made of PVC vinyl, tees are made of wood, ball markers and divot repair tool are made of plastic. You can print your custom details on the case to increase your brand visibility.